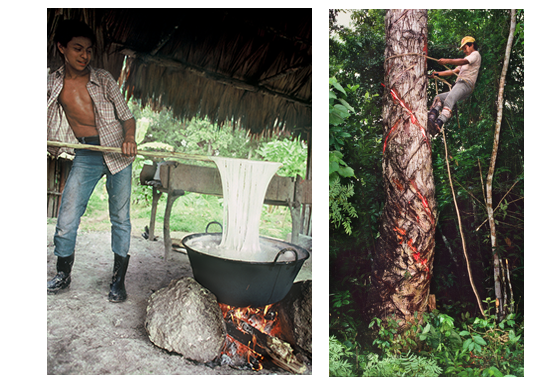 For many years, gum base was made from chicle—a tree sap harvested sustainably from the rainforest of Central America. Then, around WWII, the popularity of chewing gum surged. Big companies switched to man-made materials to get the same chewy texture that chicle had once provided. Later, artificial colors, flavors, and sweeteners were added. And before long, chewing gum had almost nothing natural in it all. 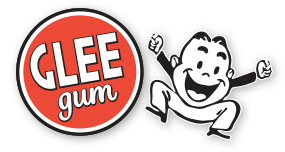 For nearly two decades, Glee Gum has been one of the only gums made in North America with a gum base that contains chicle. But, while our gum base has always contained chicle, it wasn’t always possible for us to eliminate synthetic materials entirely from it. In the past, we needed both natural chicle and food-grade, synthetic resins to achieve a good and gummy texture, and for the gum base to work in a large-scale production run. That is, until 2015! After years of research, we were so excited to debut our new gum base recipe in the summer of 2015. And, we remain proud of it today. It’s 100% natural, made predominantly of chicle with just three additional, natural ingredients: calcium carbonate, candelilla wax, and a pinch of dehydrated citrus peels. We have transitioned all of our Glee Gum flavors to this new gum base. (You can find the new gum base in our Glee Gum Pops as well). We’ve also rolled out a brand new look, with the gum base ingredients listed right on the label. * Important note: our Make Your Own Chewing Gum Kit, Refill Kit, and Gum Base by the Pound contain a different, 100% natural gum base made with natural rubber latex, harvested sustainably from rainforest rubber trees. For those with latex sensitivities, please rest assured that Glee Gum will continue to be made with chicle rather than natural rubber latex. Thanks!